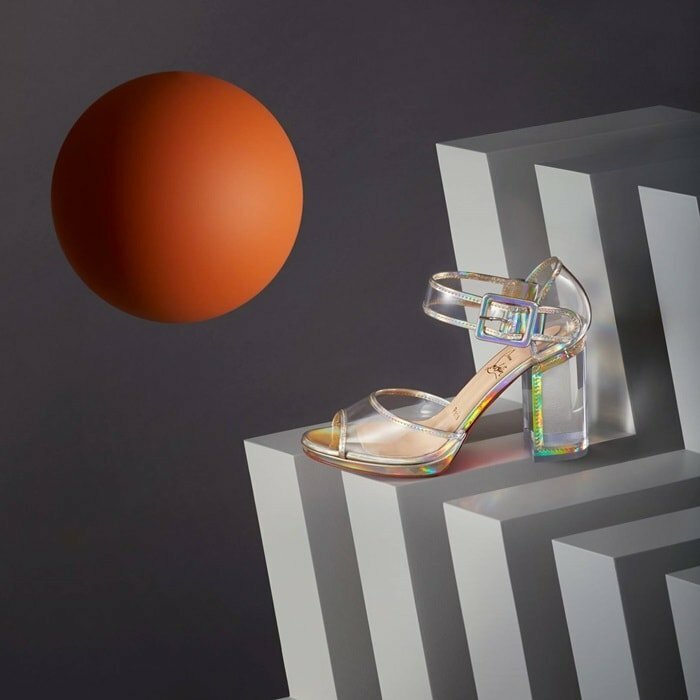 Open a new chapter in Christian Louboutin‘s love affair with transparent PVC in the audacious new ‘Barbaclara’ quarter-strap sandals (available at Barneys and Nordstrom), revealing the foot’s innate beauty in 1970s disco style. 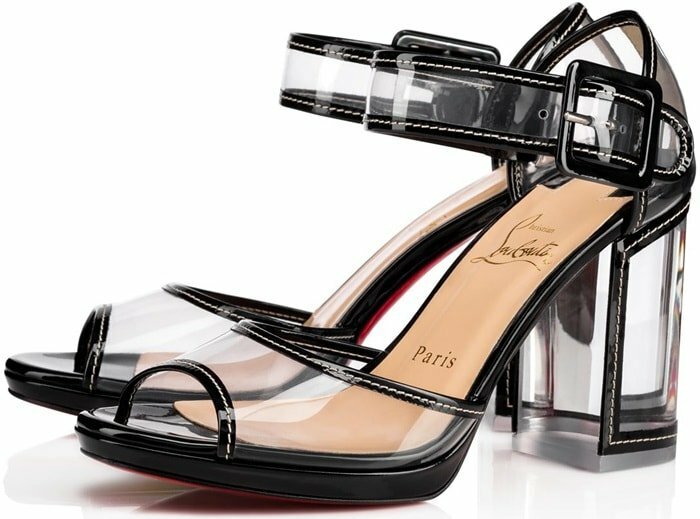 They feature chunky 100mm heels and patent leather contrast piping and topstitching. 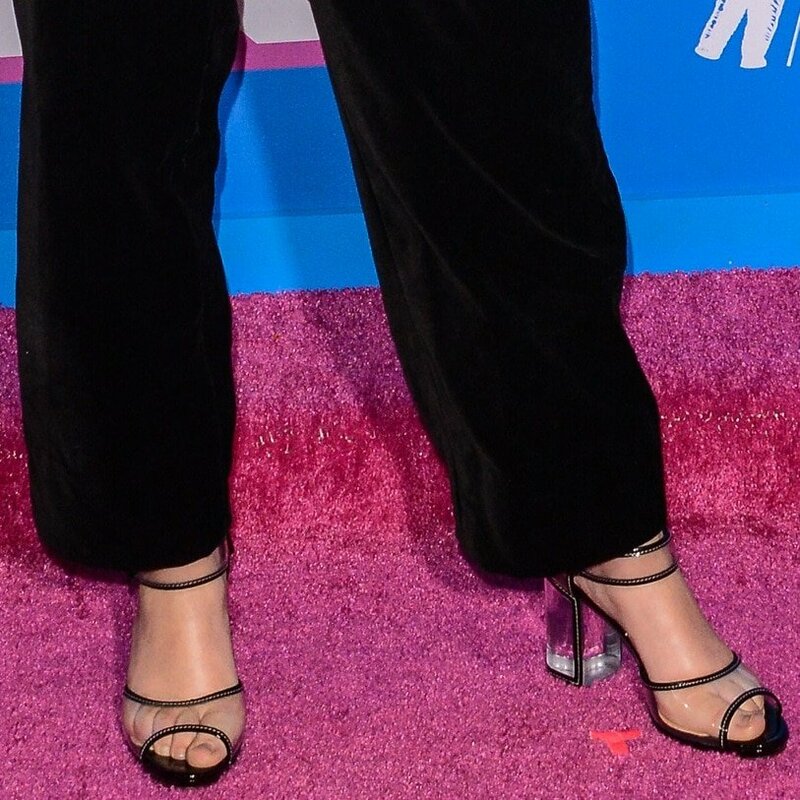 Millie Bobby Brown wore them to the 2018 MTV Video Music Awards with a bralette top and matching high waisted scallop pants from Rosie Assoulin’s Fall 2018 Collection. The 14-year-old British actress and model accessorized with Alison Lou jewelry. 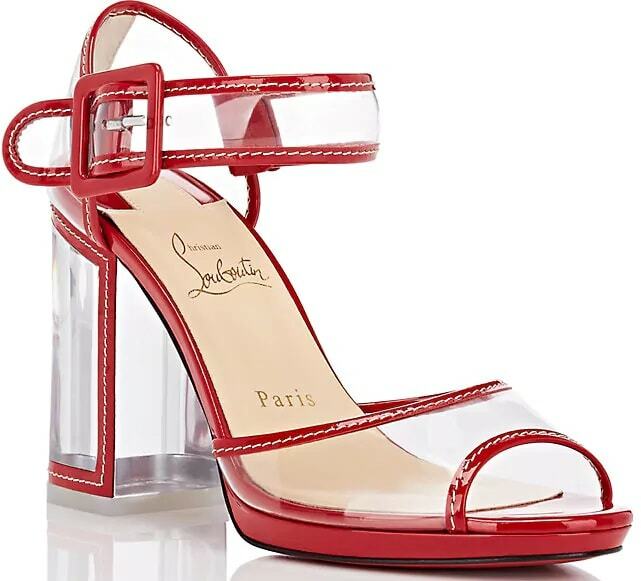 Do you prefer this style to the French shoe designer’s crystal-clear ‘Hargaret’ pumps with interwoven leather lace? 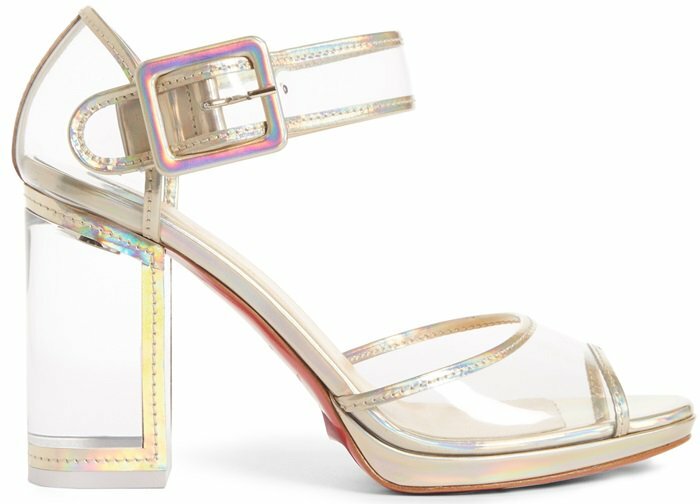 If you think the price is too high, you can find great alternatives from $10 at JustFab and ShoeDazzle. 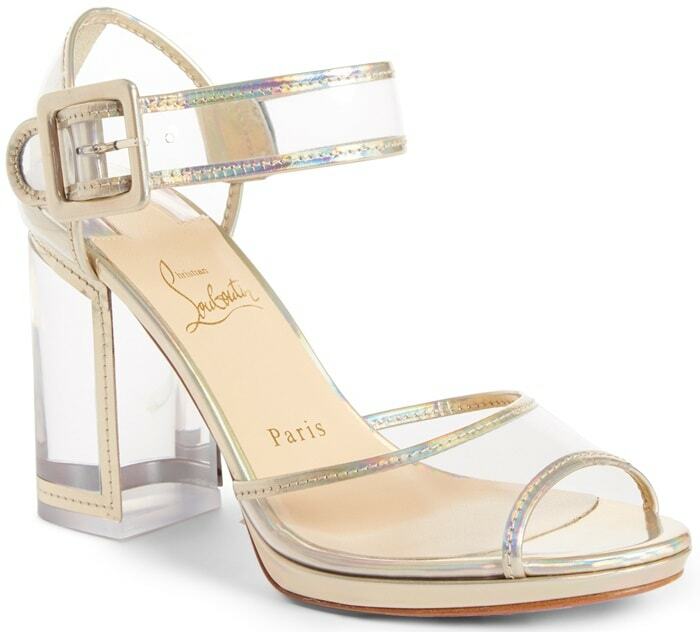 Made in Italy, this ’90s-inspired ankle-strap style features a chunky acrylic glass heel.